A three-justice appellate court in Kentucky has reversed in its entirety the bizarre $871 million judgment, including trebled damages, that the Commonwealth of Kentucky was awarded in late 2015 against PokerStars in connection with Stars’ allegedly illegal providing of online-poker services to Kentuckians between late 2006 and April of 2011. The reversal, announced on Friday by the Kentucky Court of Appeals, also orders the dismissal of the original claims brought against PokerStars and both its former and current owners. The ruling is great news for PokerStars, largely diminishing the likelihood that Stars’ current owner, Canada’s The Stars Group (TSG), would have to pay as much as a billion-dollar legal shakedown, once interest and court costs were also considered. The statement also noted TSG’s expectations that the law firm representing Kentucky is likely to continue the battle by appealing the appellate reversal to Kentucky’s Supreme Court. Despite the home-court advantage, Kentucky’s chances of prevailing have, nonetheless, taken a significant hit. TSG also plans to petition the court for the release of the $100 million appellate (supercedeas) bond it was required to post to petition the late-2015 judgment decreed by Franklin County Circuit Court Judge Thomas W. Wingate. Judge Wingate had been purposefully selected for several cases brought by the state’s interests against various online-gambling concerns, though he is among the leading Kentucky judges in terms of having his rulings overturned on appeal. The case against PokerStars and its original corporate owner, Rational Group, was launched by a politically-connected Kentucky law firm, Deckard & May, back in 2008. The law firm worked closely with the administration of former Kentucky Steve Beshear in bringing the action on a contingency basis, standing to claim a massive 25% of any judgment collected. One would expect the law firm to continue its extreme tactics in the hope of recouping a settlement from TSG to cover its years of self-imposed legal expense. The opinion rendered by the three appellate judges (Robert G. Johnson, Allison Jones and Glenn E. Acree) blasted Kentucky’s use of its 19th-century Loss Recovery Act, or LRA, as a tool to extract many times the amount of money actually wagered by Kentuckians on PokerStars tables between the passage of the UIGEA in late 2006 and April 2011’s Black Friday, when a federal crackdown forced Stars to leave the US market for several years. Amid its shakedown attempt, attorneys from Deckard & May used hand-by-hand calculations of “losses” to inflate the $18 million in rake generated by PokerStars during the period into the $290 million in calculated damages, which was then in turn temporarily trebled under the terms of the 19th-century-vintage LRA. Instead, the appellate panel ruled, Kentucky had no standing as a “person” under the meaning originally designed within that antiquated LRA law, and the state could also not seek to enrich itself by claiming excessive damages from activity it was already sworn to protect against. 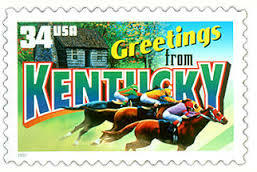 (The question of whether Stars’ services to Kentuckians was legal or illegal was never directly answered. Allowing a complaint, like the one put forth by the Commonwealth, to move forward would lead to an absurd, unjust result. It would mean that any private person with knowledge of the general nature of Appellants’ electronic gaming format could allege an LRA claim in a wholly conclusory and generic fashion and walk away a billionaire without ever having identified a single gaming transaction with specificity. The LRA was never intended to be used in this fashion. It was intended to promote natural persons who had knowledge of specific instances of illegal gambling to file suit to assist the Commonwealth in enforcing its anti-gambling regulations. To that end, we hold that even under our liberal notice requirements, a third-party LRA complaint must set forth basic facts such as the identity of the parties, date of the conduct, and nature of the gambling losses at issue.